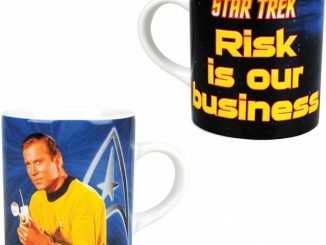 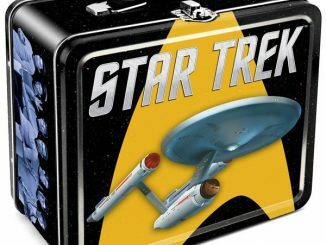 I think most of us with mundane jobs can agree that eating lunch is one of the funnest things we do all day; so why not do it in style with the Classic Star Trek Lunch Box. 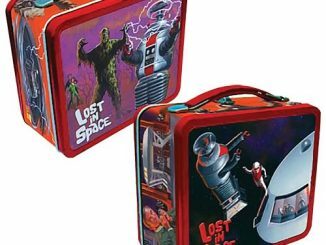 This tin tote has all your favorite characters from the Original TV Series including: Captain Kirk, Spock, Bones, Uhura, Scotty and Chekov. 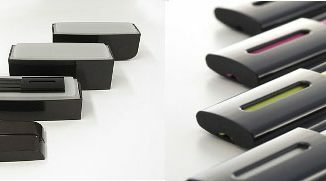 Relive all the great memories as your enjoy your lunch and try to forget about the remaining work that has to be done. 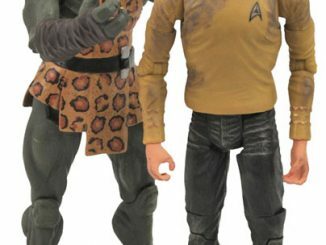 Remember the Star Trek called episode “Arena”, when Captain Kirk had to battle The Gorn (green lizard guy) and he finally takes him down with some good old fashioned cannon making. 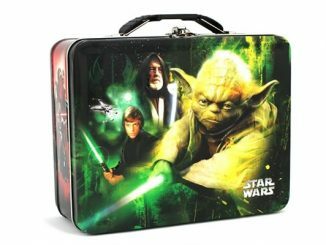 Well, let’s hope everything that comes out of this lunch box goes down a lot easier! 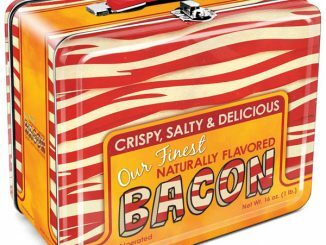 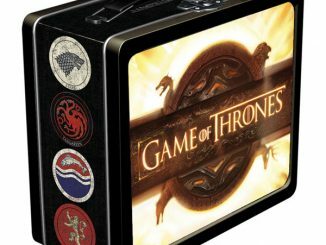 Collectible Tin makes any lunch look good! 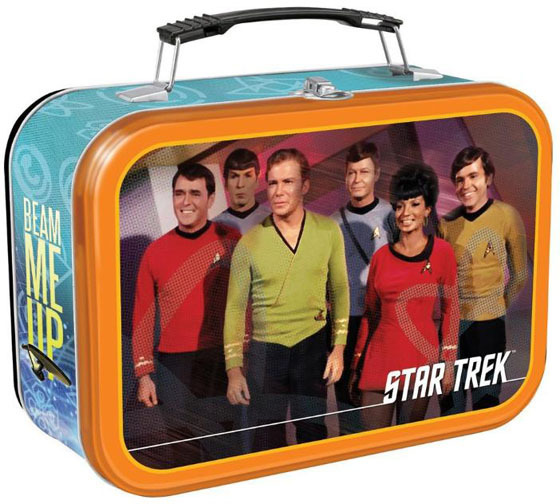 You can purchase the Classic Star Trek Lunch Box at Amazon.com from $10.98. 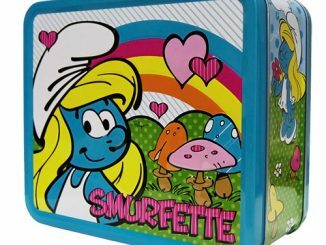 If you collect lunch boxes, checkout these: Darth Vader, Smurfette, Nintendo NES and Sandwich Lunch Box.